The appearance of English Mastiff may startle you at first, but this lovable breed makes for the most amazing companion. They are highly intelligent and make the best walk partners. Here is everything you need to know about this famous dog breed. The English Mastiff has a powerful well-muscled body. It has a heavy square head that ends at a short muzzle. The English Mastiff is considered one of the largest dogs for its weight. The male Mastiff stands 30 inches in height and weighs between 160 and 230 pounds while the female is slightly smaller and stands at 27.5 inches weighing 140 to 190 pounds. Their small brown eyes are dark and set apart while their ears are smaller. 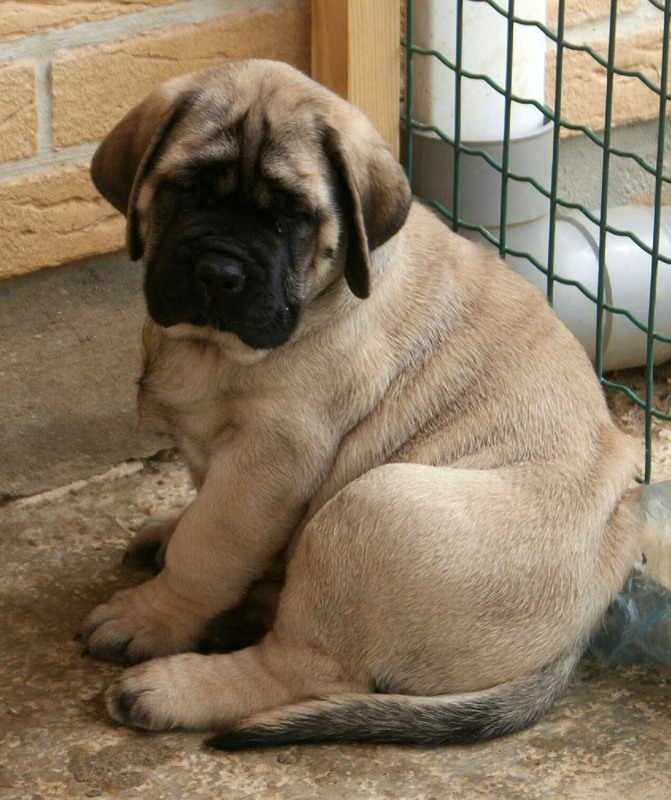 The English Mastiff has distinctive wrinkles at his forehead which end above the eyes, giving them a kind look. Their broad nose has well-defined nostrils and is dark in color. Their lips are loose and hang down giving the head a square-shaped profile. English Mastiff has a wide chest and sloped yet heavily-muscled shoulders. Their legs are straight and end in round large feet. It has a high tail that is wide and tapered at the end. The Mastiff has a double coat. The upper coat is short and straight while the inner coat is dense. The coat colors are usually apricot, fawn, or brown with stripes. 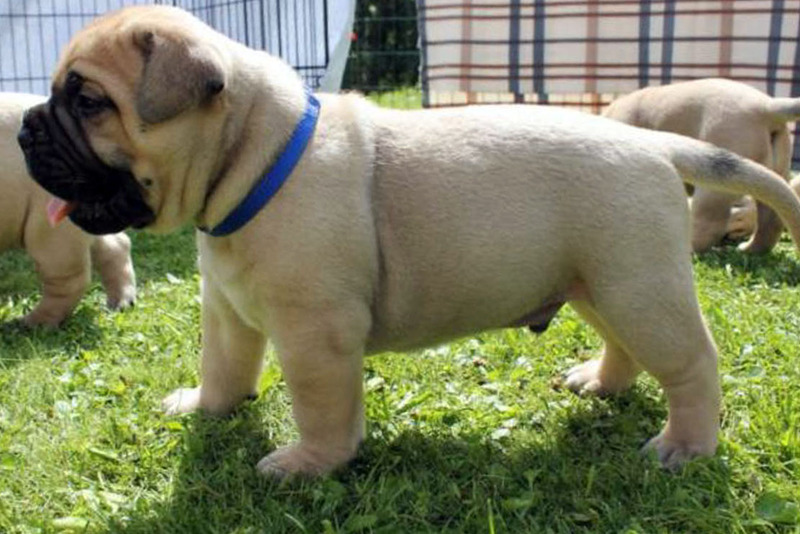 Some dogs have white patches on their chest. The English Mastiff has short hair that is shed throughout the year especially during fall and spring seasons. Their coat needs to be brushed regularly to keep it shiny and get rid of dead hair. Regular brushing also results in less stray hair lying around the house. They may require to be bathed more frequently. It is advised to keep their wrinkles clean in order to prevent infections. When bathing the dog, use a veterinarian-approved shampoo formulated especially for the dog, as regular shampoos can strip their coat off its natural oil and cause dryness. Check their ears regularly for any infection. Do not insert a cotton swab into the dog’s ear. Use the vet-approved tools and solutions to clean their ears. Trim their nails, if they do not wear down naturally. Regular teeth brushing is also important to prevent plaque and tartar building up. It will also keep bad breath away and promote healthy gums. The English Mastiff is the most loyal companion. They have the most gentle nature, thus they are the most affectionate and protective family dogs. Although they have a loving nature, yet it is advised to supervise them when they are with children due to their large size. A Mastiff needs to socialize with other animals and dogs. Early socialization is important for this breed as they tend to get aggressive when left alone for long hours. Due to their large size, this breed could often be a threat to other animals. A Mastiff is an extremely intelligent breed and it could be difficult to train them as they tend to do everything slowly. Due to their slow speed and style, they require less exercise as compared to other dogs. A walk around the block is enough for their physical activity. The Mastiff always looks for its owner’s affection and may suffer from separation anxiety like other dogs, if left alone for long hours. No matter how affectionate the Mastiff is with its owners, it is always wary of strangers. It may take some time to mingle with your new friends but once they are adjusted, they are the friendliest dogs. Training the English Mastiff may be more difficult than other dogs. Their training needs to start as early as possible in order to inculcate good habits and eradicate bad habits. 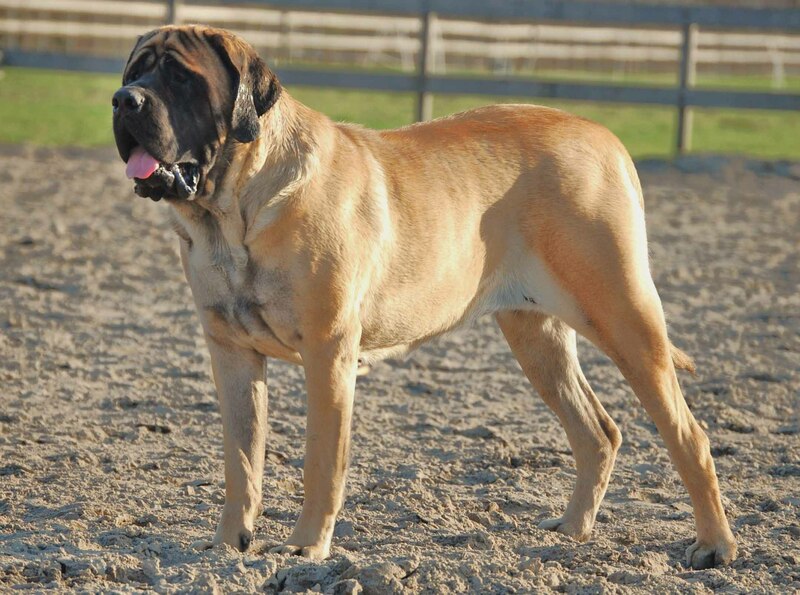 The English Mastiff is an intelligent breed of dog and needs an authoritative trainer to conduct consistent training. Always use positive reinforcement while training this dog and avoid shouting or any sort of punishment. Do not leave your pet alone as a punishment. This can cause anxiety and depression in the dog. This breed is slow in learning. They do not require extensive physical exercise like other dogs. Regular walks are enough to burn their extra energy and keep their health in check. 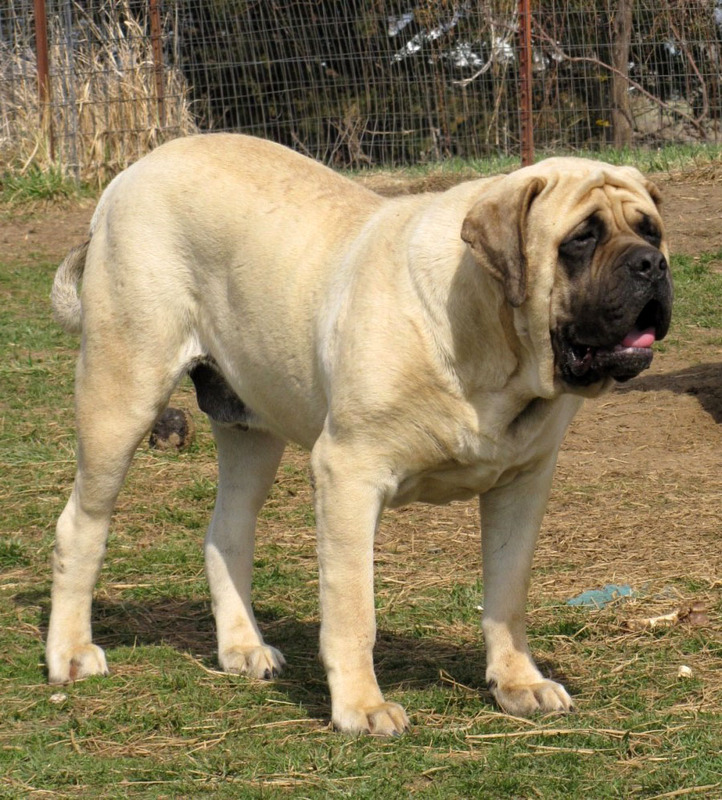 The English Mastiff has descended from the Molosser family and was brought to the British Isles from 2000 to 1500 BC. They were bred to be guardian dogs by the Isles tribes. 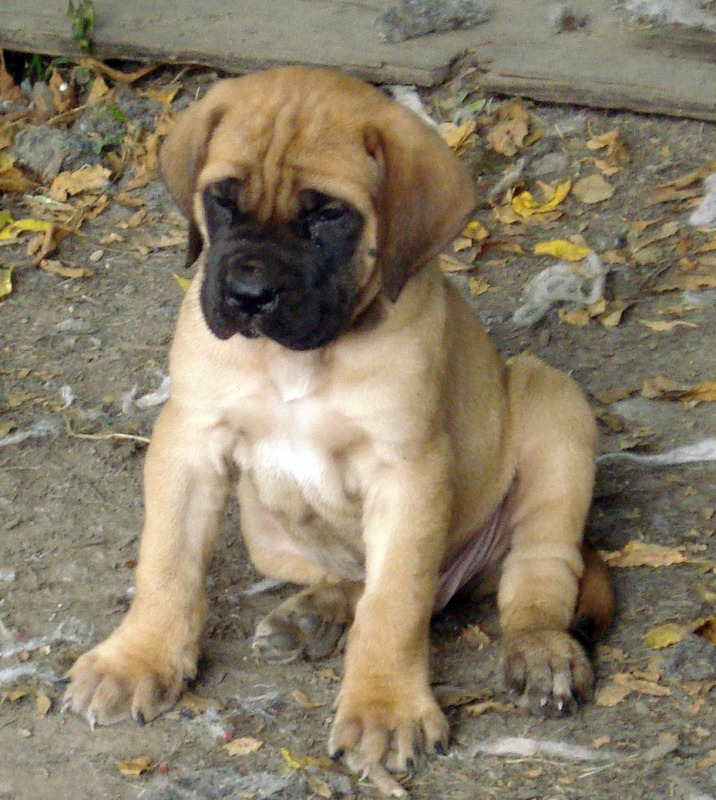 Mastiff has been documented for more than a hundred years. It gained recognition by the American Kennel Club in 1885.